Conor Mason of Nothing But Thieves has -- dare we say it -- one of the best voices we've heard in a really long time... In rock music, at least. He belts out and glides up and down notes with a smooth stadium-sized roar, similar to Muse's Matt Bellamy. In between those powerful lines come softer moments, with soulful and delicate delivery reminiscent of legendary vocalist Jeff Buckley. Mason's voice is basically enough of a reason to like this band, but then they hit you with more: great songs that will make you feel like you're on top of the world. "Itch" is a particular stand out on their 2015 self-titled album. It might be an alt-rock headbanger, but with an enormous, sensual chorus, it can appeal to music fans of all genres. 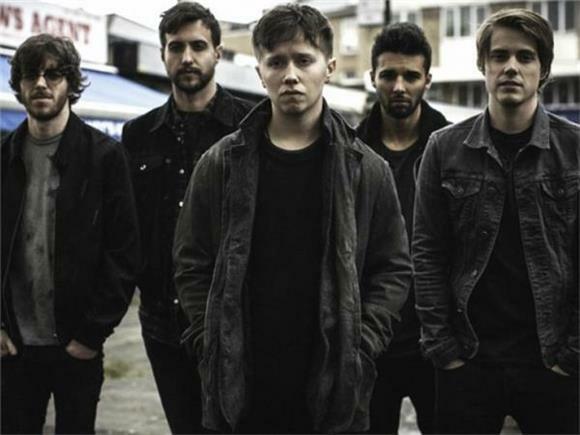 If you haven't hopped on the Nothing But Thieves train yet, now is the time.